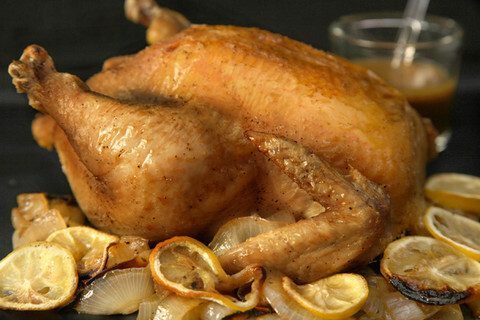 What part of the Chicken is the Healthiest part to eat? Remove the skin to remove more fat and calories. 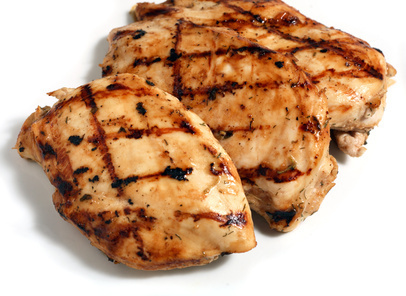 Dark meat has more saturated fat and cholesterol than white meat. Bake, boil, or stir fry with some vegetable oil instead of frying chicken. 1. Put low sodium saltine crackers in a plastic bag and roll a rolling pin over them to break them into crumbs. 2. 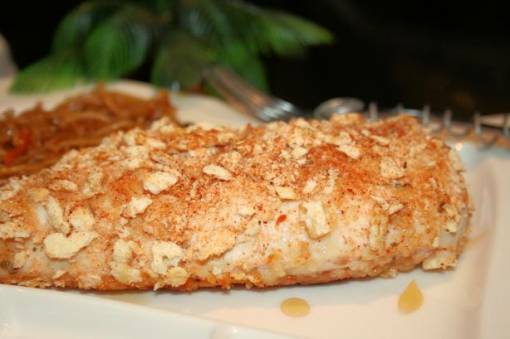 Mix paprika with cracker crumbs. 3. Put honey in a bowl and put chicken in the bowl of honey. 4. Rub the honey on to coat the chicken. 5. Pour crumbs and paprika mix on chicken and press them in. 6. Spray a baking sheet with a little bit of cooking spray. 7. Cook in oven at 375° F for 20-25 minutes.